I’ll start by saying that while sometimes I’ll sell a light with one of these pre-installed, I am not currently taking orders for them. If someone else offers to build one for you, go for it. I won’t attempt to restrict it in any way, though I try to make it as accessible as possible for people to build their own. This is still a project in motion, often being updated/upgraded. So if you have an idea to make it even better, please let us know. Below is a brief overview. I recommend reading through the whole OP, then asking any questions in the thread below. You will get a faster answer here than if you PM me. All resistor and LED pads are 0805 sized. Oshpark is currently offering a 0.8mm thickness in addition to their default 1.6mm. 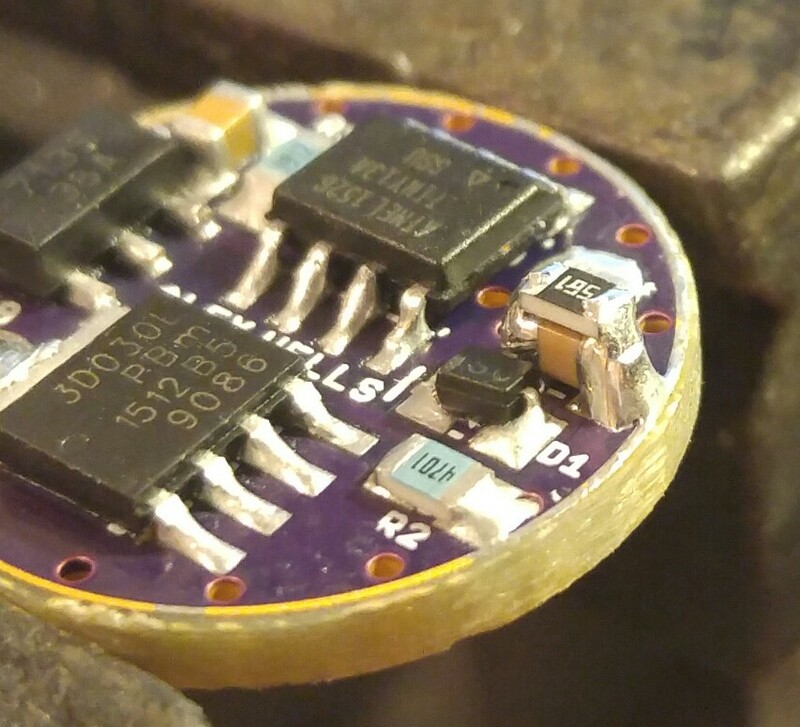 I recommend always getting 1.6mm for any ring PCBs, as they are under most pressure. For the base switch PCB, be sure to measure your host to see what thickness will give the best fit. This isn’t exactly “good” science. I don’t understand all of the ins and outs of how this affects drivers, but we have learned quite a bit from experience. 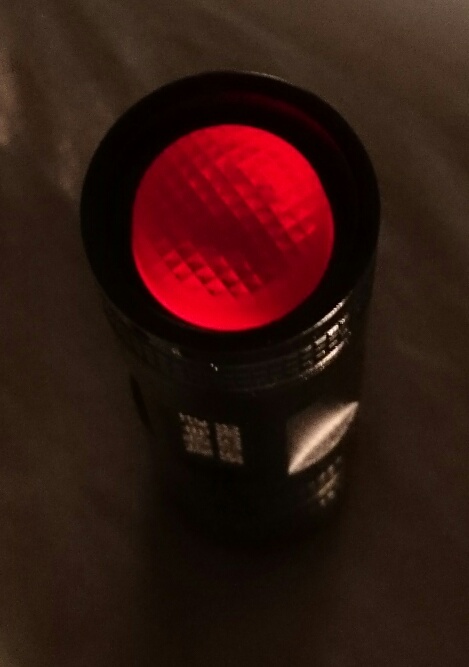 Some drivers will work just fine without any modification when the Illuminated tailcap is added. I’m sure there are some drivers that simply won’t work correctly at all after it is added. Most drivers will have issues initially (like not changing modes when the switch is pressed) but will work correctly once a bleeder resistor is added. 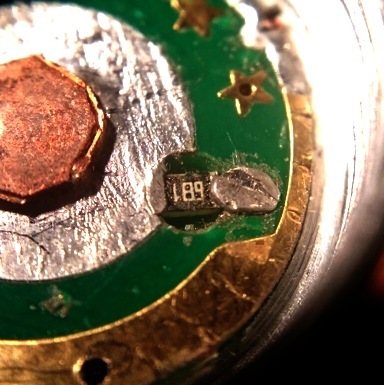 This is a resistor placed on the driver directly between Battery+ and GND (the flashlight body) to “bleed” power past the driver to the tailcap. It can be placed in a number of different ways on the driver. The needed value is typically between 500-800ohms, but will depend on how much power your tailcap draws. If you already have a bleeder resistor and still have problems, try a bleeder with lower resistance. Here are some pictures of the bleeder placed different ways. This is where it started. In case you were wondering, the design Banggood placed in lights like the X6/X5 and the Cometa falls into this category, and is most similar to my Rev3 design. The generation 1 boards include Rev1-4 and pyro1son’s design. They consist of a single PCB on which you mount your switch (ex. Omten 1288), your resistors, and your LEDs. You then replace the typical steel retaining washer and opaque tailcap boots with translucent ones. A replacement washer can be made yourself or bought from a few places as can clear boots. See the links at the bottom of the OP. 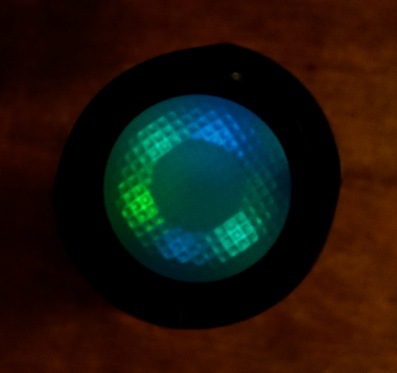 The Rev3 design requires resistors to set your tail brightness. The needed resistance can vary anywhere from 1kohm-25kohm. 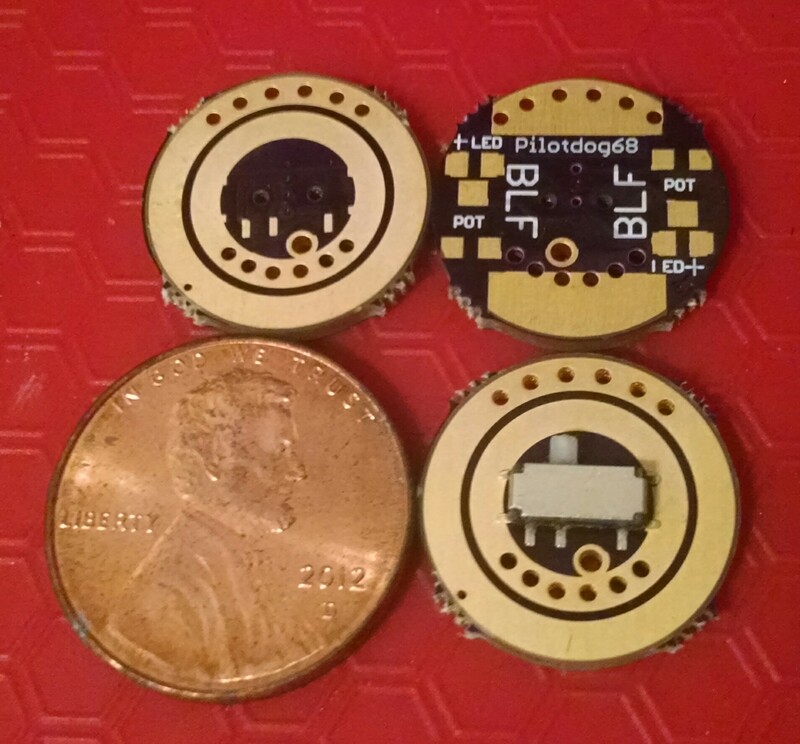 The Rev4 and pyro1son’s boards introduced pads for 3×3 potentiomers to more easily adjust resistance. We recommend getting 25k or 50k rated pots to get the best range. These two versions also allow you to adjust the brightness after installation, without completely removing the whole assembly. Gen1 boards use more power than the Gen2 boards because more light gets trapped inside the switch area. This includes Rev5 (and its many sub-revisions) and the still mostly-untested Rev6. They offer greatly-improved efficiency because they replace the retaining washer with a “ring” PCB, and mount the LEDs right there under the cover. This gives back most of the light we previously lost down in the switch. 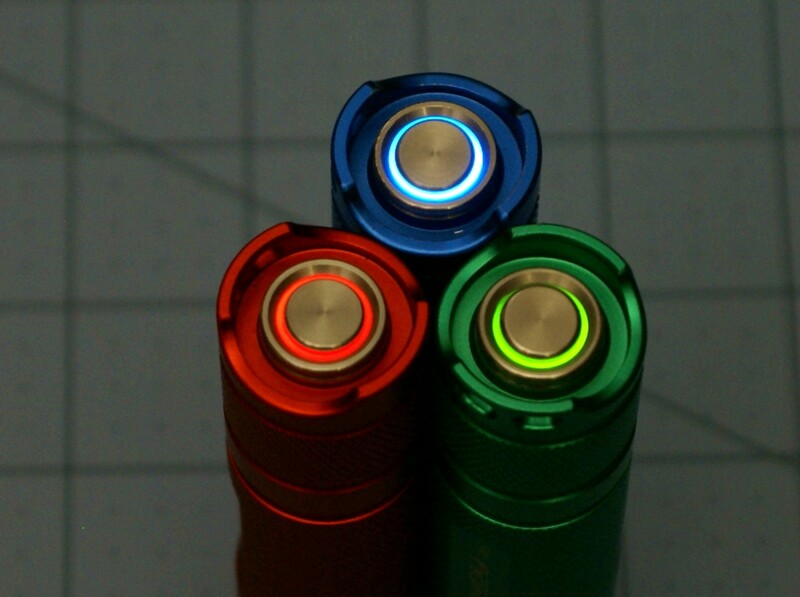 It also offers more room for more LEDs and color options. 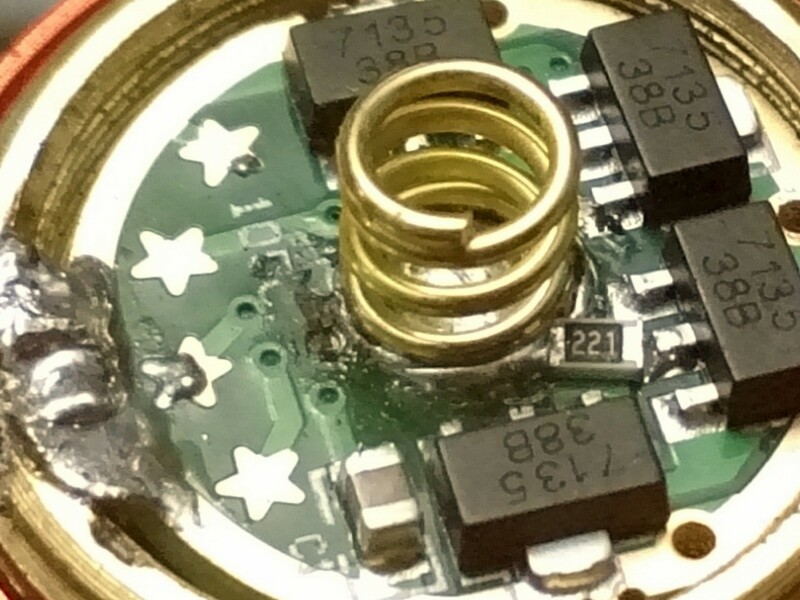 This ring includes pads for resistors right there with the LEDs, so you can pair it with any standard switch PCB. You could, however, pair it with a Gen1 base PCB (or the Rev5 PCB) to combine the efficiency of the Gen2 “ring” design with the easy control of the Gen1 pot/switch features. Because these are more efficient, you will probably want more resistance to get a usable brightness. I recommend 10k-30k for resistor values and 50k+ for pots. This is the type you must use if you want to install in an S2+ with the metal switch. However, that switch design blocks much more light than a rubber cap, so be prepared for much higher power draw than in other lights. Rev6 is the version that has an Attiny13 mounted in the tail, but as I said it is mostly untested. Note: Rev5-6 are designed around the dimensions of the Omten 1288 and probably won’t fit on anything bigger. These links may be where I bought mine from, or just a good example to show you what you are looking for. In any case, most of these items can be found from many sources all over the internet. Picture of your current switch board? Omten 1217 seems a bit tight on a 17mm board. Flash will be easier to locate than constant on, lower power use too. I thought the 1217 was the standard switch that people used? I don’t have one currently. What switch do you suggest? I mean the body of the Omten 1217 is already ~ 17mm and thats without a place to solder the tabs. If you fold one tab around to the spring side and solder it there you might get close but it looks like it will still be over 17mm. If it must to fit within 17mm then I’m not sure if the Omten 1217 can work. 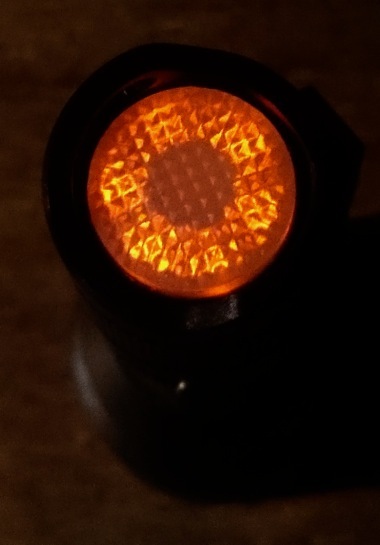 I checked the Omten 1217 thats in one of my lights and its on a 20mm board. 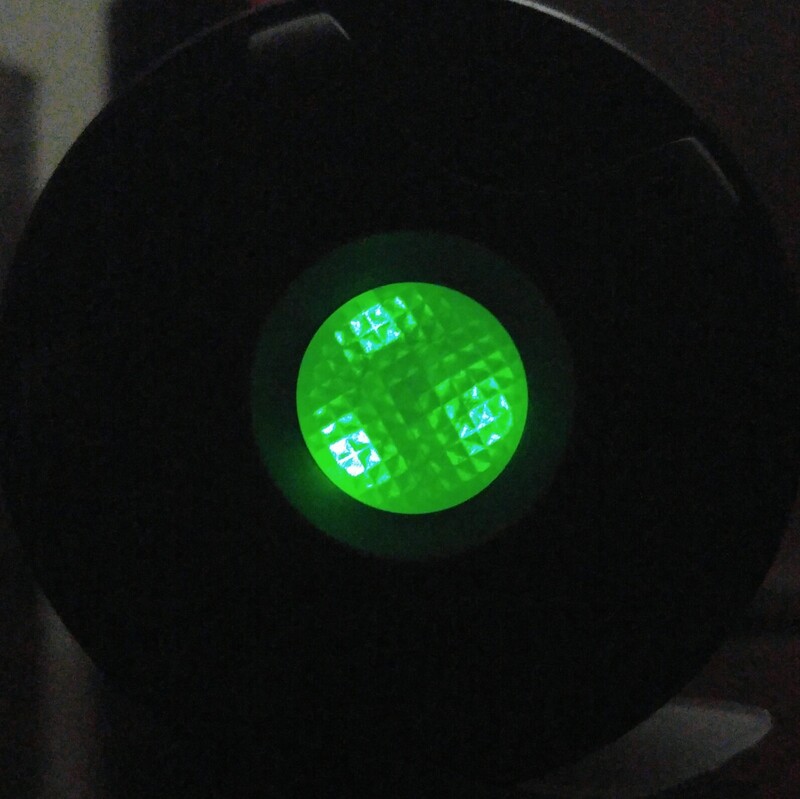 What switch is in the lights that you’ve been testing with the tail led? Board diameter? Could you post a pic? Do you think the 1288 is a better fit? Well, looks like some hang over is ok for that flashlight at least. So what diameter would you like for the center spring pad? 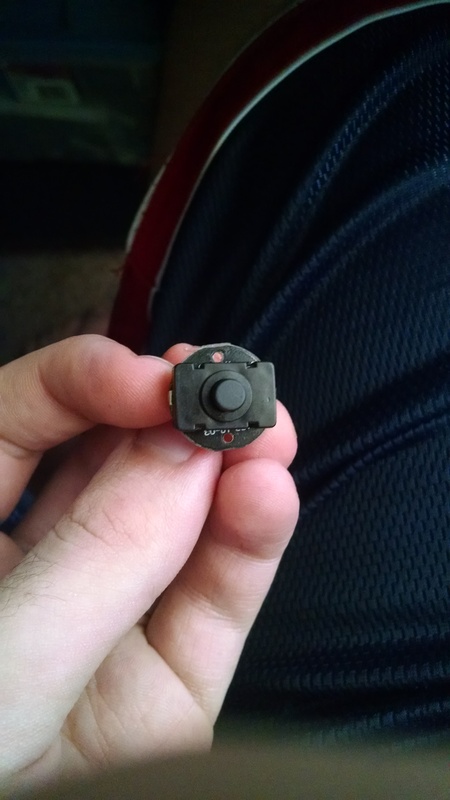 Well I want this to drop in and work in as many different lights as possible, so If you and others think a smaller switch would be better I will follow your wisdom. I just thought the 1217 is the go-to switch. 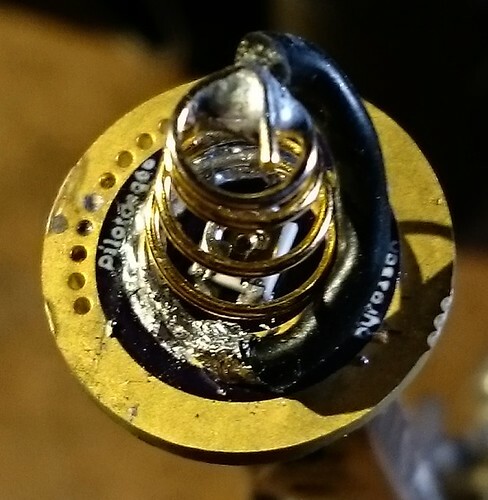 That particular large switch came from an ebay light, and I will admit it was a royal pain to resolder under itself. It could be easier to solder. New omten 1217 switches comes with one long tab. I placed a slot in the middle for the tab to pass through. The second tab can be folded over the edge. Then both could be soldered from the spring side. Spring added after that. Whats the diameter of your springs? I generally use whatever I pull off the old switch, but I have both 9mm base and 7mm base springs on order from cnq and fasttech. 9mm looks like a good size. 17mm diameter board. 11mm spring pad. 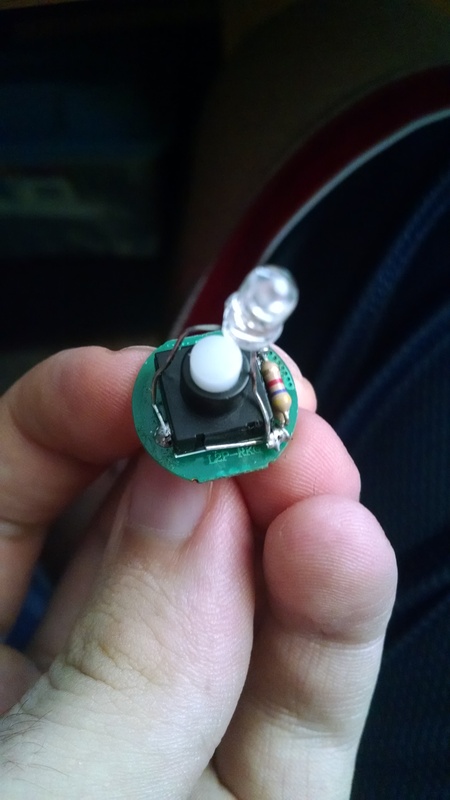 If your 1st picture is an accurate indicator of the size LED you plan to use, I would suggest a smaller SMD like an 0603 there must be a way of mounting on the button and under the button cover. Helios! Thanks, that looks great…. Except for one part. It looks like you have the resistor between the battery and the led, but the resistor should be between the body tube and the led. 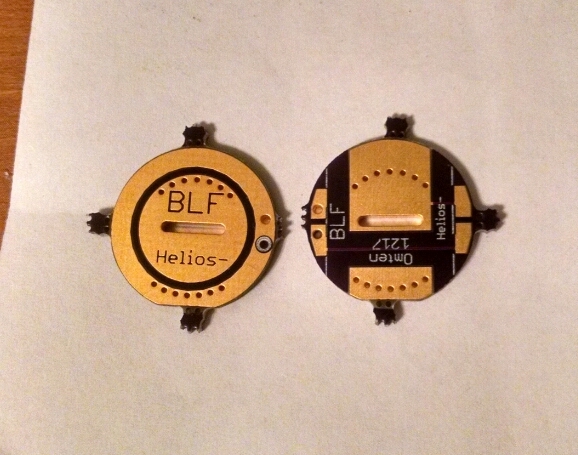 Nice Helios, more or less going to fold the tabs of that OMTEN 1217 over and surface solder to the backside? You can place resistors before or after an led. I put the led at the body since you wanted through holes. Then only one pin needs to be isolated, the other pin is connected to the body. You can solder that pin from the battery side, seemed a bit easier. Ok thanks for explaining. I’m still a bit of a newb on circuits if you can’t tell. The large pads on the top should allow use of smaller switches too. I’m ordering 3 of these right now. One tab, the long tab on new omten 1217 switches, would be folded under the switch and passed through the slot in the center of the board. The second tab is folded over the edge of the board. Gave the board a flat tire shape to give a little more clearance for that tab, in case room is tight in the tail. 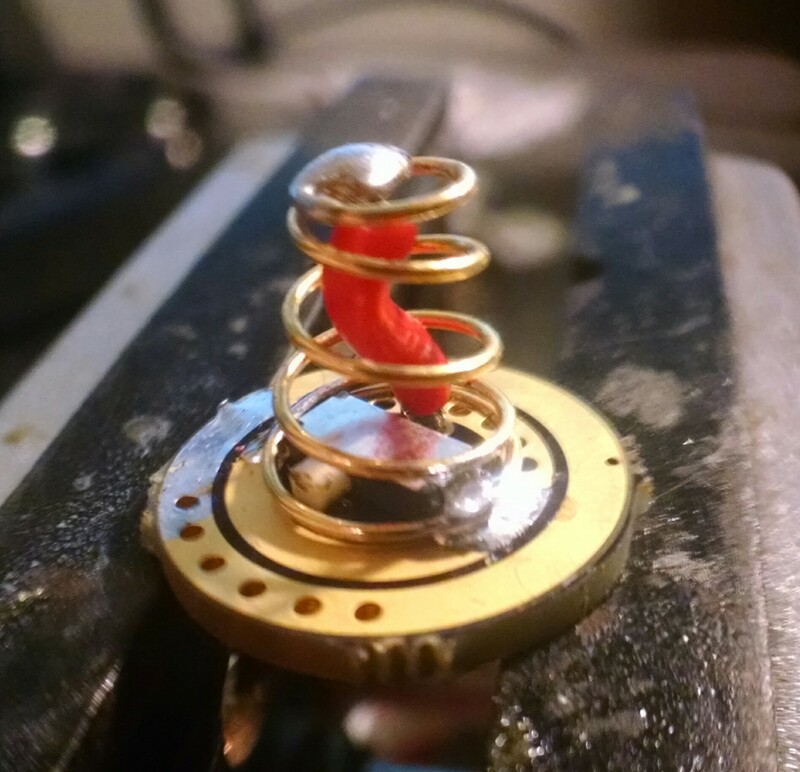 You can then solder both from the spring side and add the spring. Instead of having to solder under the switch. As pilotdog mentioned its a bit of a pain to solder under a switch. Either way…awesome assistance there Helios…good job! I got the boards today, and they’re really great. However, I didn’t realize how many of my lights actually use a 20mm pcb. Any chance someone with skills could stretch it out to 20mm? I’ll create a 20mm version. Could you post a front and back picture of the board that you received? I’d like to see that it came out as intended. Nice…the groove came out cleanly! It’s also plated all the way through on the 3 copies I got. It seems to be a great solution to the problem of the large omten on a 17mm board. Did you try fitting a switch on the board? When I put that slot in I wondered if it might be annoying to get the switch’s tab aligned to go through the slot. Tab bent at the right spot. I can see what you are saying, but no I haven’t tried it yet. I’m still waiting on the switches and clear boots to be delivered.